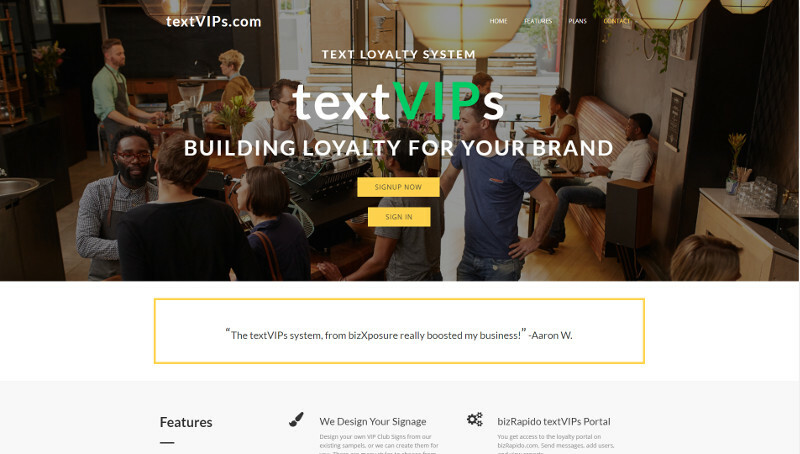 TextVIPs is a texting loyalty program available to businesses that would like a way to send their valued customers information on events, sales, news, and any other relevant information. Customers simply text to sign up, and businesses can create and send messages as often as they want. Templates and pre-designed messages are also available through TextVIPs. BizXposure offers signage to promote the loyalty program as well, to encourage customer participation.